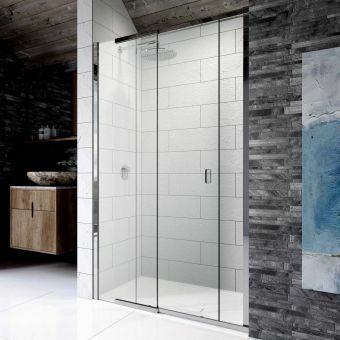 Sliding door mechanisms are a real benefit in the bathroom that has to consider the space around it. With no outward swing to consider, they are ideal for placement in tighter fitting interiors. 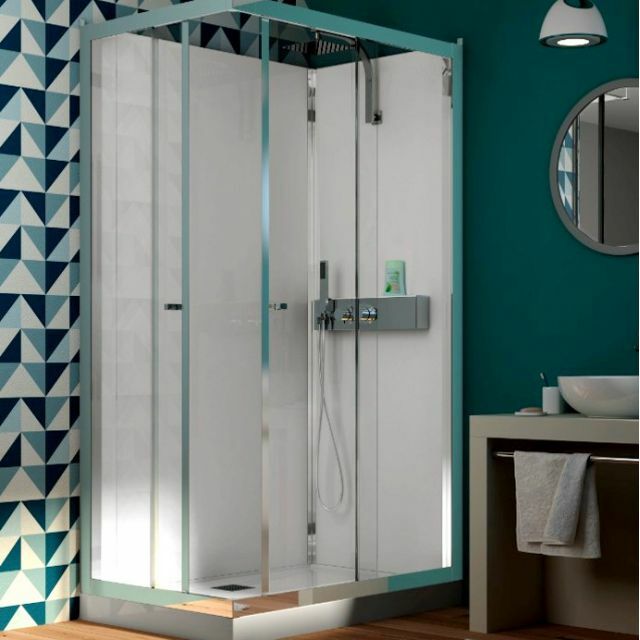 Four different sizes of this corner shower cubicle are available. From a compact yet surprisingly spacious 800mm by 800mm square unit to the more sizeable 1200mm by 800mm, these shower enclosures are designed to be fitted to the corner of the bathroom space. 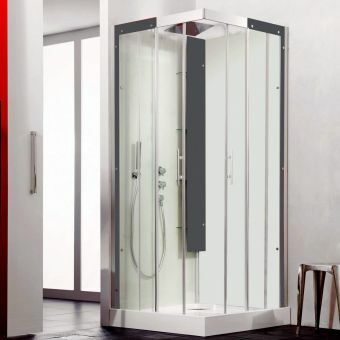 Each model can be installed with a left or right-hand orientation as you require it. 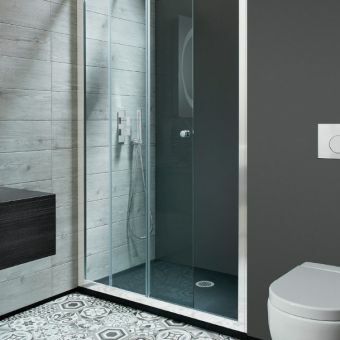 The exposed thermostatic valve gives you total and safe control over the water supply. 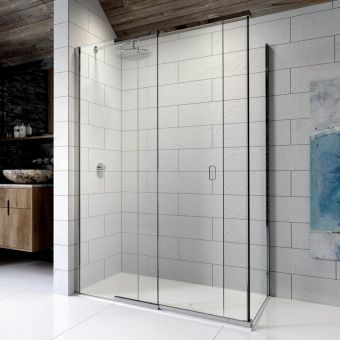 Being thermostatic in nature, it gives an uninterrupted flow of water and will cut out in the event of loss of cold water to eliminate the chance of scalding. 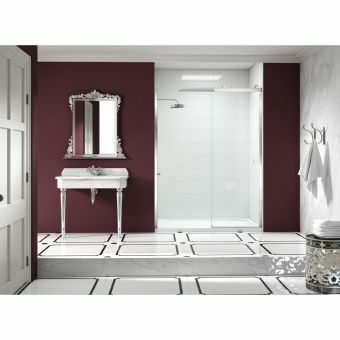 The mix of glass and chrome materials gives a classic, modern look that is well adapted to life in the modern home or guest suite.